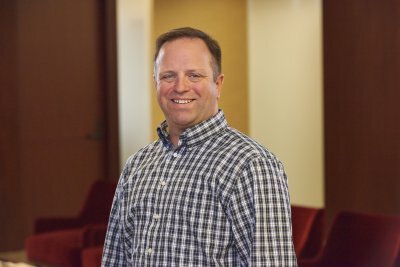 Nicholas D. Tautges, Chief Personnel Specialist (U.S. Navy) and Moss & Barnett Accounts Payable Specialist, recently returned safely from Qatar and Kuwait. This was Nick’s third deployment (Bahrain and Afghanistan were prior duty stations). In Bahrain, Nick worked as a Boots on Ground (BOG) Analyst and was in charge of tracking all Navy personnel movements. His daily reports were used as talking points on CNN by the Commanding Admiral, Vice Admiral Gortney, and were viewed by personnel all the way to the President of the United States. At Kabul, Afghanistan, he was the Leading Chief Petty Officer of the Administration Department and in charge of personnel accountability, awards, evaluations, and service record updates, as well as a teacher of basic computer skills to the Afghanistan National Engineering Brigade staff. In Qatar, Nick handled military pay, intra-theater travel, awards processing, and casualty reporting. In the middle of the deployment, his billet was moved to Camp Arifjan, Kuwait, and Nick was highly involved with office layout and design for camp offices. During each deployment, Moss & Barnett colleagues put together monthly care packages with cookies, movies, magazines, books, office supplies, toiletries, and other items for Nick and his fellow service members, plus any special requests that Nick made. Nick reports that his greatest pleasure in receiving the care packages was to share everything because most deployed military members did not receive care packages. On Nick’s nomination, Moss & Barnett was awarded the Employer Support of the Guard and Reserve (ESGR) “Above and Beyond Award,” which is given in limited numbers by state and territory ESGR committees. It recognizes employers who go beyond the legal requirements for supporting active military duty. 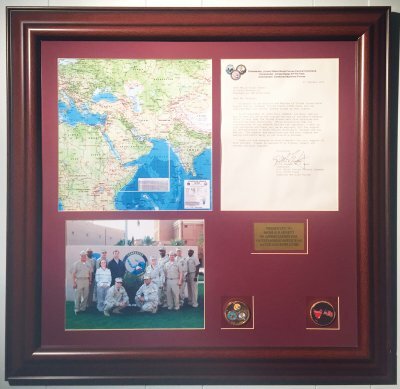 In addition, the firm received recognition from then Vice Admiral William E. Gortney, Commander, U.S. Naval Forces Central Command, in appreciation of our “Outstanding Services as a Civilian Employer," during Nick's first deployment. Nick’s service was recognized by the awarding of the Navy and Marine Corps Achievement Medal, The Navy and Marine Corps Commendation Medal, the Joint Service Commendation Medal, plus other service and campaign awards during his three deployments. Welcome home, Nick, and thank you for your service to our country!